AND . . . feed the farm animals, feed the dogs, realize I've packed the coffee maker so no homemade frappuccino will be in the bare refrigerator! (but each morning I will still check. Perhaps this is the day the Frappuccino Fairy will leave me a present!) I am on a rapidly spinning carousel that threatens to lift off like a space ship. Each morning I step out the door to the sound of sheep screaming, goats hollering, and horses neighing. 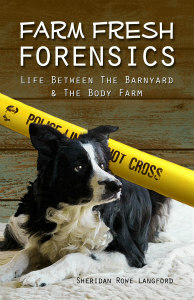 Dogs bark as they race up and down the fence line, escorting sheep to the barn. The combined shrieks echo in my head, bouncing off thoughts that already crowd my mind like commuters on a bus. I shovel grain to the horses, flip some token alfalfa pellets to the sheep, and toss goat grain into troughs. 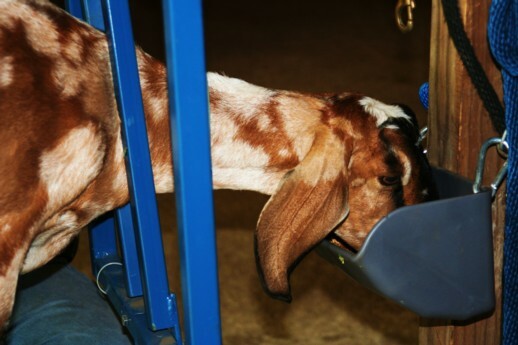 My dairy goat climbs onto her stand, thrusts her head in the bucket, and suddenly . . . there is peace. I lay my head against her flank, thankful for a moment of peace among the crashing waves of insanity. While moving an entire farm may drive you crazy, milking a goat can bring you back into the now, and remind you why you keep all these animals. They are cheaper than therapists . . . but much louder. "Welcome Bi-Ped, come lie down on my couch . . . "
I have a small farm similar to Noah's Ark (2 of each.. goat, donkey, geese, turkeys, pigs and more chickens). they are all pets and I totally "get" your sentiment. I too have a challenging job, working with special education students in a public school setting - all of whom are challenging. I love what I do, but in spite of the fact that our little farm is a lot of work, it is also my peace. 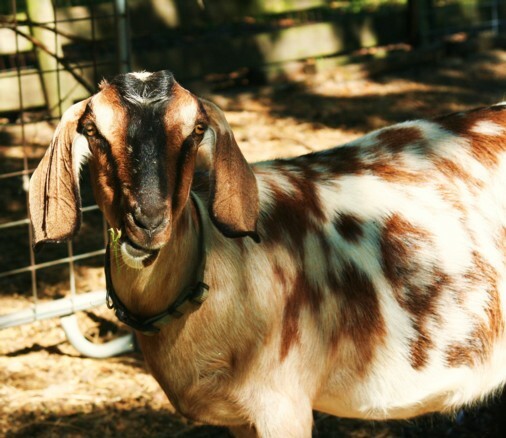 I find that milking my goats is also very soothing to the soul. That is "my time" to let my mind wander and relax. The rythmic sounds of grain being eaten and the music of milk pinging into my stainless steel bowl makes me one happy goat farmer! I love to lay my head upon the warm flank of my does as I think amd milk. and the milk! my fridge is full of Gretta's goat milk. It doesn't quite beat frappaccino, but it's a close second. And you can make ice cream from it, so, maybe it is better! And I do love the goats. Dairy goats anyway. Not so much the other ones. Good for you on the move. It's sure hell, isn't it? We moved years ago in the hellish heat too, no picnic. Enjoy getting to know the new place!